огонь Emblem: The Sacred Stones. огонь Emblem: Seima no Kōseki. 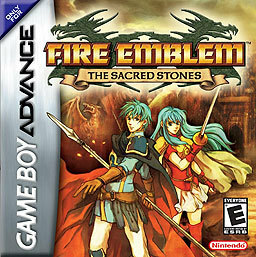 Released to GBA in 2004.. Wallpaper and background images in the огонь Emblem club tagged: seima no kōseki fire emblem sacred stones video game box cover.